What Are Annual Reports and How Are They Used? Annual reports on AALLNET are a public record of the activities of each AALL entity over the past year. As such, they offer a source for members to learn about the current work of AALL's committees, special interest sections, and chapters, as well as contribute to an existing and easily accessible historical record of the entities and the Association. The reports are published in the Annual Reports section of AALLNET. Prior to 2007, these reports were published in the fall issue of Law Library Journal. The reports also are distributed to members of the Executive Board to help them monitor the progress being made toward the Association's strategic directions. What Is the Process by which Reports Are Submitted? 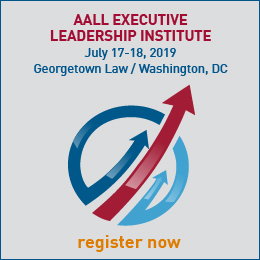 Responsibility - The current head of each AALL working entity (i.e., chapter presidents, committee and SIS chairs, representatives) is responsible for preparing the annual report, although the entity may choose to have someone else prepare the report if it wishes. 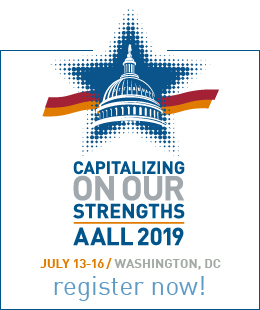 Timing - Current leaders of AALL's working entities receive a memorandum from Headquarters reminding them of their responsibility to submit an annual report with an August/September deadline. Method - Submit annual reports by providing a link to the report (mostly likely from your entity's website) and the name of the entity via email to: annualreports@aall.org. What Should the Annual Report Contain? In General - Due to editorial work involved in publishing these reports, the annual reports published in the Annual Reports section of AALLNET necessarily may differ from more complete reports that are prepared for members of the entity. The length limitation (described below) for reports may prevent leaders from listing all the activities of the entity or acknowledging each individual who participated in them. Generally speaking, the reports should be a description of the year's highlights, not a comprehensive record of the "year in review." Nature and Length - Reports should be narratives (i.e., not bulleted lists or outlines) that concisely describe the entity's activities during the past year. While there is no hard and fast rule as to length, the editorial work required for the reports suggests that except in extraordinary circumstances, the report should fall in the range of 300 to 500 words. Authors are forewarned that reports may be edited for clarity, length, and format. The activities (and members) of each and every committee and subcommittee. While they all may be acknowledged and thanked in a longer report shared with the entity's members in a different way (i.e., Web site or newsletter), the focus of the report should be on major accomplishments, not on providing a comprehensive list. To indicate officers who served in the current year, list the name of the individual, followed by the office held. Separate these elements with a comma; separate individuals by a semi-colon. Hyphenation: Vice President (or Vice Chair) does not use a hyphen; President-Elect (or Chair-Elect) does. The officers of the Government Documents Special Interest Section during 2001-02 were A. Hays Butler, Chair; Katrina Stierholz, Vice Chair; Colleen Manning, Secretary-Treasurer; and Sue Kelleher, JURISDOCS Editor. CoAll officers for 2002-03 are Holly Kulikowski, President; Martha Campbell, Vice President/President-Elect; Mariann Storck, Secretary; Dan Cordova, Treasurer; and Karen Selden and Mark Estes, Members-at-Large. The title of a program should be enclosed by quotation marks. It should not be italicized or underlined. EXAMPLE: The FCIL-SIS was pleased to co-sponsor a program entitled "Creating Commercial Connections: Trade Laws of Latin America" in March 2002. Keep in mind that the appropriate personal pronoun for an entity such as a chapter, SIS, or committee is it, not we or they. That is, if you are referring to the chapter doing something, the proper usage would be it; if you are referring to the members doing something, use we. It [instead of "The committee"] was charged with revising the bylaws of the chapter. They [instead of "the members of the committee"] completed many projects during the year.